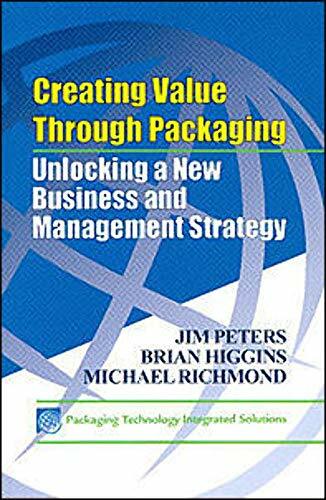 This book fills a deep need in the packaging industry - a methodical guide to managing packaging that also demonstrates how packaging, considered in a total context, benefits all phases of a business and its customers. Starting from the premise that packaging is implicated in a network of material, social, economic and psychological factors, the book offers a comprehensive strategy highlighting packaging's value-adding roles in creating successful products and enhancing the experience of customers - B2B as well as consumers. But the book's practical applications are deeper. By illuminating the multiple relationships of packaging to organizations and cultural trends and linking them to one another and to business drivers, the book offers a useful new way to think about packaging, one that includes and goes beyond cost analysis to demonstrate how packaging is a corporate asset needed to innovate and increase profits. Methods in the book are shown to apply to a wide range of choices managers must make. The book covers all the standard operating procedures of packaging development, which, along with numerous flow charts, formulas and graphics, are designed to improve operations, planning, and sales.